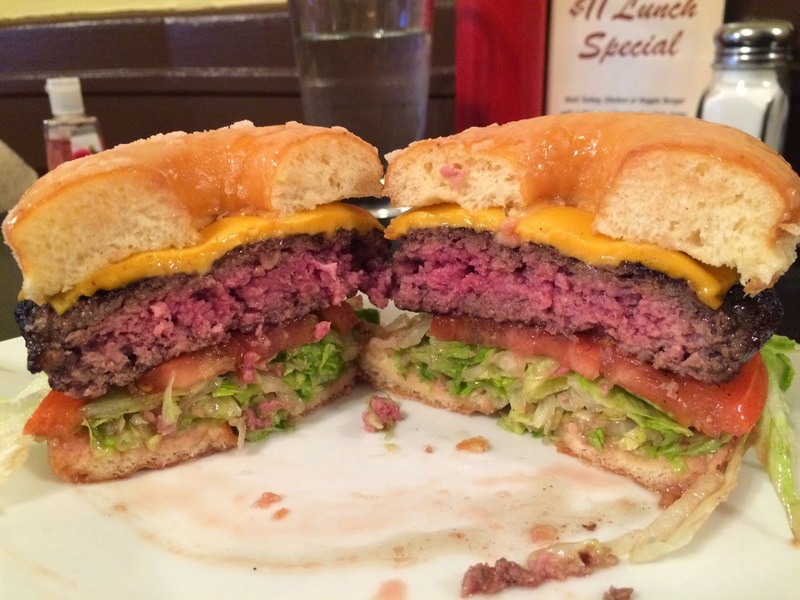 My husband sent me a link of the best 5 cheeseburger in NYC, and one of them got my attention. 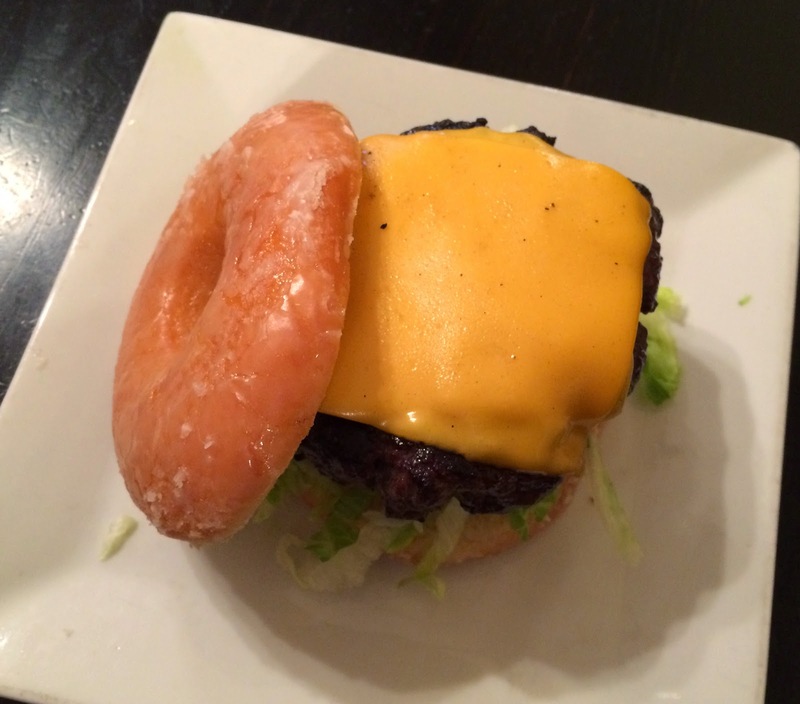 It's Donut Cheeseburger, and as it's called, it uses donut instead of buns. 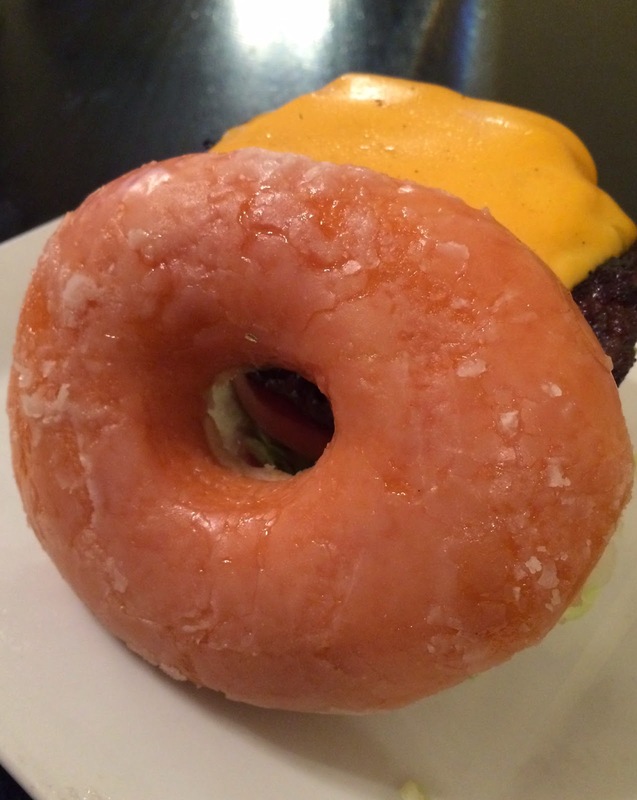 However, the article was published about a year ago and I didn't see the item on the menu, so I called if they still serve donuts burger and the person who was on the phone said yes. 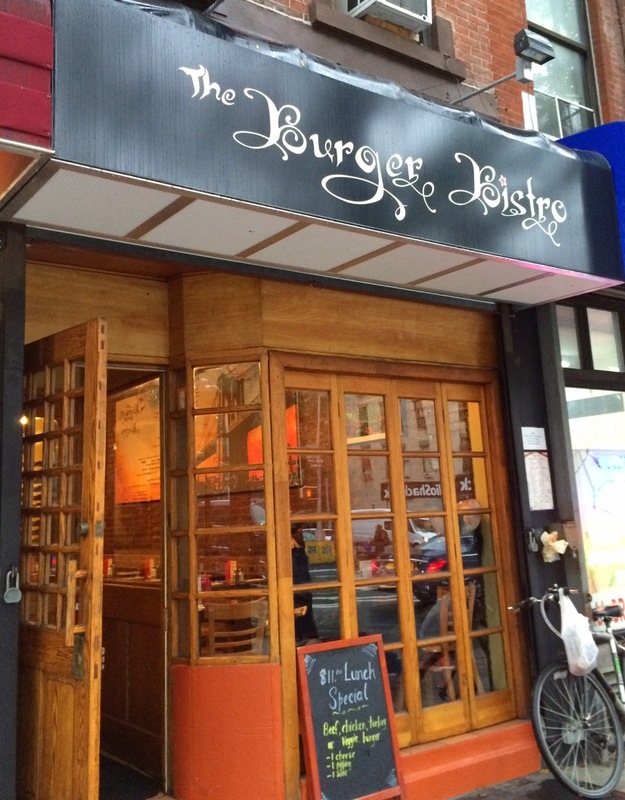 The restaurant is called "The Burger Bistro" and located in Upper Eastside , that is opposite side from where I live, but I took a subway and a bus to try the mysterious cheeseburger. 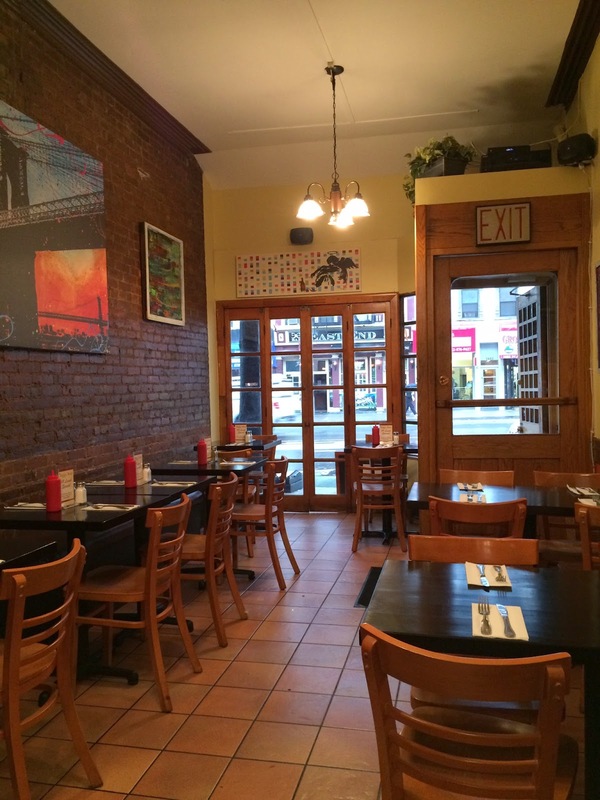 I got there about 10 to 1 PM and I was seated immediately at a table. 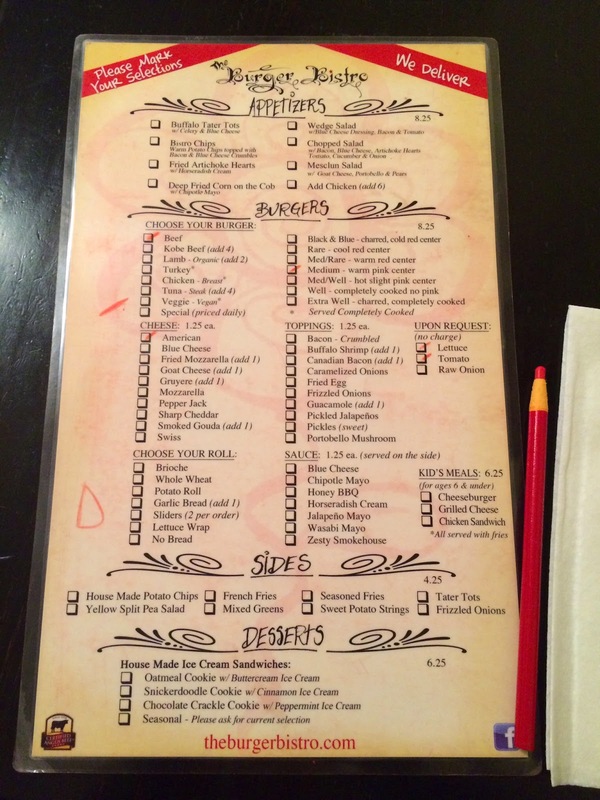 Soon a menu and a red pencil were provided and a waitress asked me if I'd been there, but as it's my first time, she explained how to order burgers. She said I can build my own burger choosing patty (beef, chicken, vegan and more), how you'd like the patty prepared, cheese, toppings, free adding (lettuce, tomato, and raw onion) and so on. And once you checked those boxes you'd like to have in your burger, you hand it to a waitress. Her voice was familiar so I asked her if she was answering when I called to ask if they have the Donut Cheeseburger still, and she said it's her and she gave me information what they put in the original Donut Cheeseburger. First, write "D" at "Choose your roll" section so that they know I want donut, and the toppings in the Donut Cheeseburger are; a beef patty, American cheese, bacon, and fried egg. * Donut isn't on the list to choose from. I chose a beef patty for medium, American cheese, lettuce and tomato. 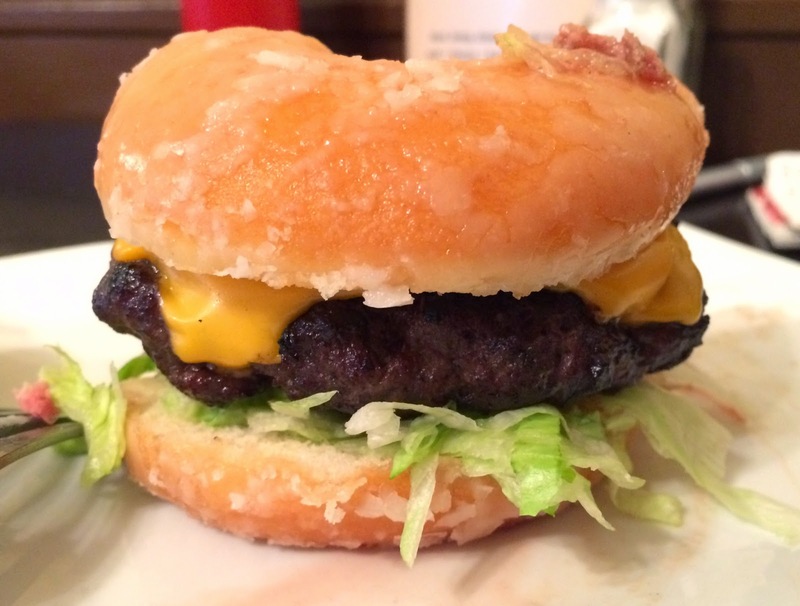 In 5 minutes or so, my version of Donut Cheeseburger was brought. It's not old fashion donut but sugar glazed donut, which I already learned from the article. 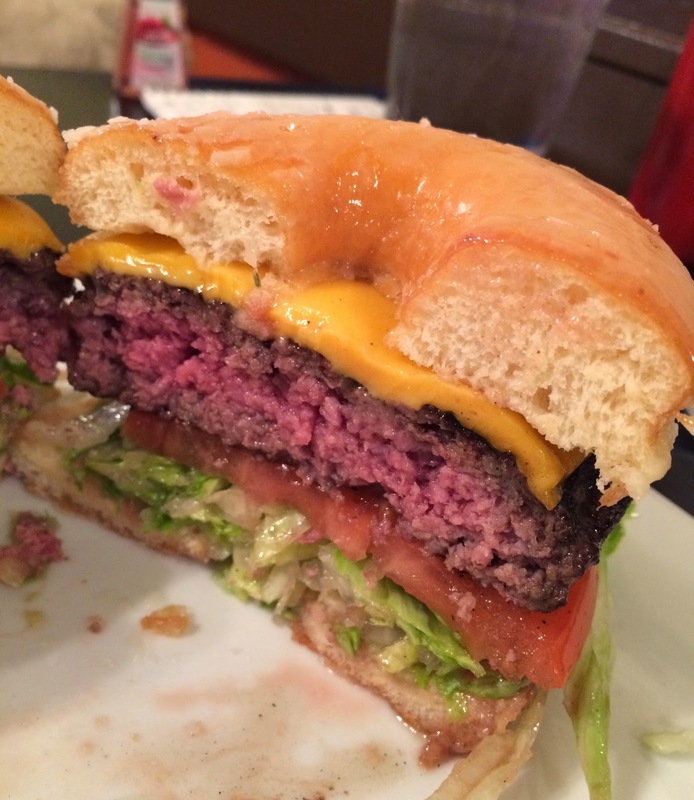 And the donut was sliced into half like a hamburger bun used for a burger. I put the upper donut on the top and ate. 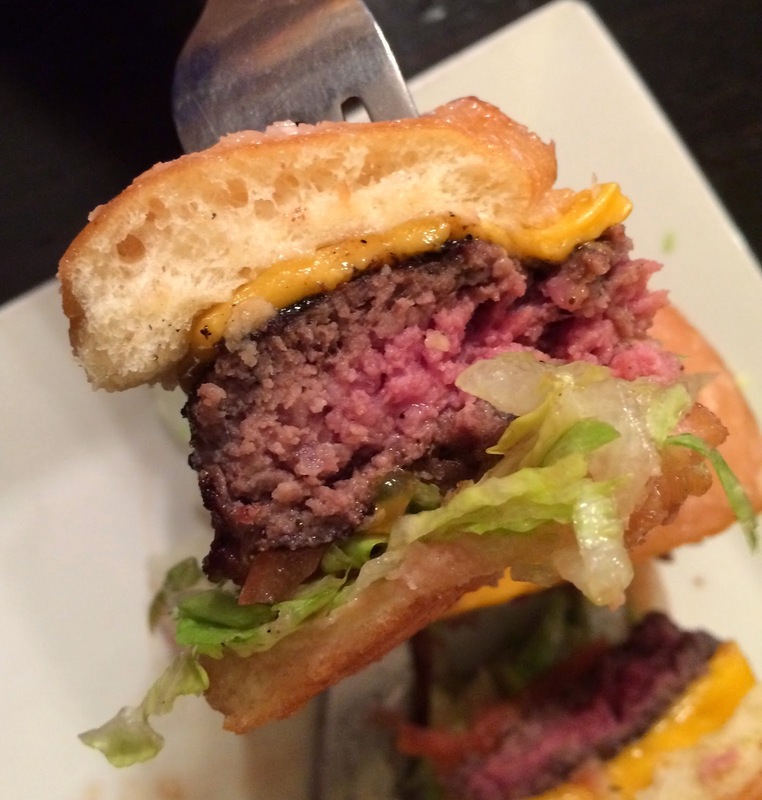 The beef patty was perfectly cooked to medium like the menu mentioned; warm pink center. 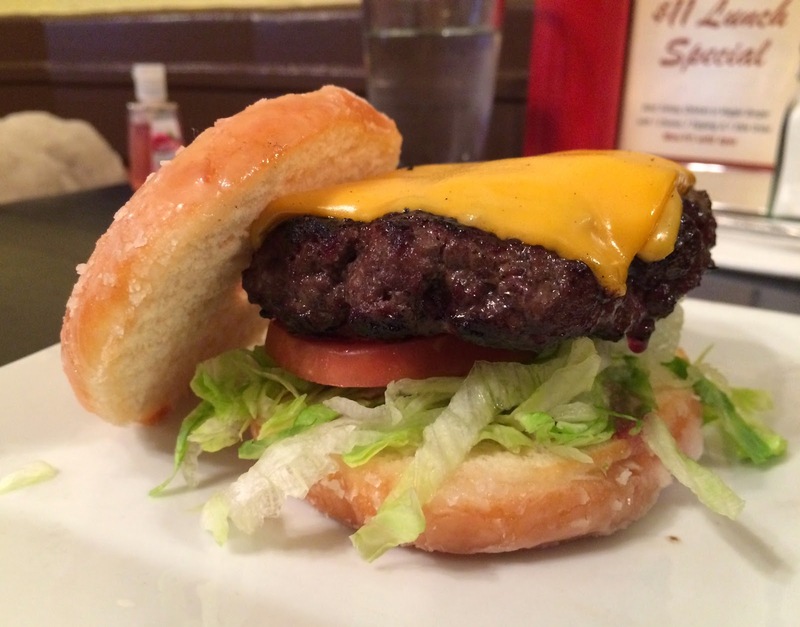 From the bottom, there're a bottom part of a donut, lettuce, tomato, beef patty, American cheese, and upper side of a donut. 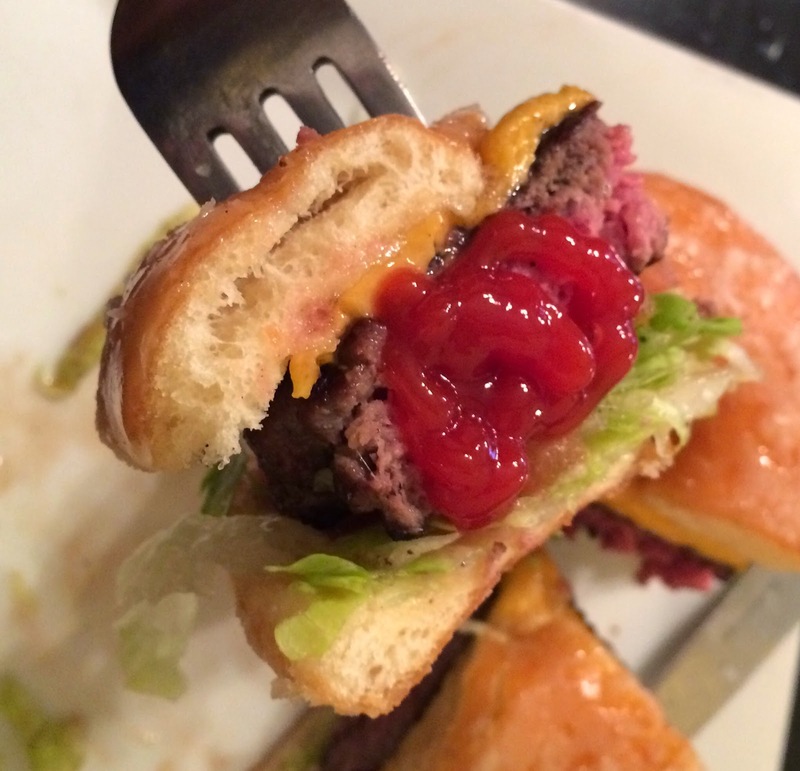 It looked hard to eat with hands as the donut was very soft and moist with sugar glaze, and the beef patty was quite thick, about 2cm (0.8 inch) with fresh vegetables, so I used a knife and a fork. There's no sauce and there's ketchup no the table but I ate it as it was first. The donut was soft and sugar glaze was crunchy like Krispy Kreme. Beef patty was seasoned with salt and pepper, the outside was slightly burned and fragrant, and the inner was very juicy and soft, and this patty was absolutely tasty. Tomato and lettuce wetted the bottom donut a little bit, but the texture wasn't that bad. The sliced cheese was slightly thick and had very rich flavor and taste besides saltiness. It was a total surprise that sweet donut and other ingredients, and the sweetness of the donut was similar to sauteed onions. I added some ketchup for second bite. Ketchup added some sour flavor with moist and it tasted like a regular cheeseburger as ketchup sealed the sweet flavor of glazed donut. 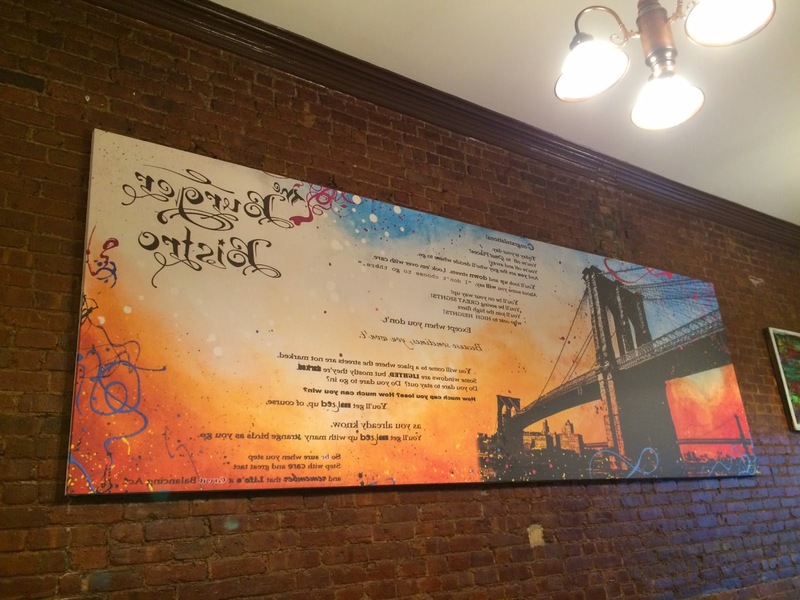 Next time, I'd love to try the original toppings (beef patty, bacon, fried egg and American cheese).